CAPE CANAVERAL, Fla — On the day that NASA, Boeing, and United Launch Alliance (ULA ) marked the first steps to enabling crew to launch from Cape Canaveral Air Force Station’s Space Launch Complex 41 (SLC-41) in Florida, SpaceFlight Insider spoke with the head of NASA’s Commercial Crew Program to get a true “insider’s” perspective as to how the agency views the upcoming flights of commercially-produced spacecraft to the International Space Station. 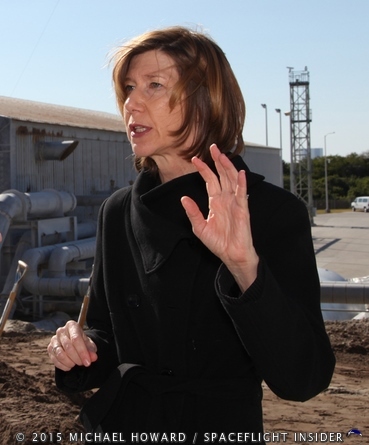 Lueders, who has previously served as NASA’s ISS Program’s Transportation Integration manager, is uniquely suited to direct CCP’s steps toward sending crews aloft on commercially-produced spacecraft. Following the departure of Ed Mango, CCP’s prior program manager, Lueders has worked to direct the program as it prepares for critical test flights which are set to take place as early as 2017. 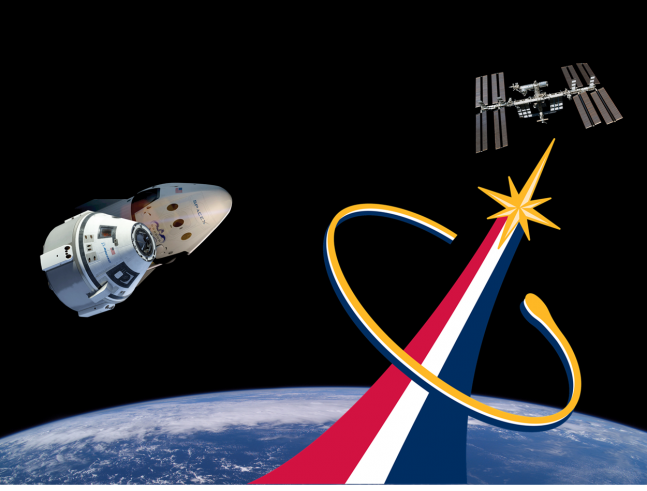 Lueders noted that each of the two remaining contractors, while still working to complete milestones under the various phases of the CCP contract, will see their products serve not only to ferry crews to and from the orbiting laboratory, but will also serve another critical role in terms of the station’s operations. This aspect of the commercial crew spacecraft’s missions has not been given a lot of attention and is critical in terms of ensuring the survival of the crew should something go wrong on orbit. Until September of last year, there were three companies competing to participate under the CCP contract. However, when it came to whittle that number down to just two, Sierra Nevada Corporation’s Dream Chaser was not selected to move forward. This left two providers to carry out the unprecedented task of developing spacecraft which will carry U.S. astronauts to the current sole destination in low-Earth orbit. “During their certification phase, we don’t just do paper certification, we also ask them to do demonstration missions. So, both Boeing and our other provider, SpaceX, are doing an uncrewed demo, where they are proving the design, traveling to the station. Then they are going to fly at least one of our crew members up to the International Space Station as part of their certification activity, so, that will all be happening over the next two-to-three years. So, we’re very excited about that,” Lueders concluded. Great interview and article! Thanks a lot. NASA needs to put this program on the fast track, so we can stop paying the Russians to keep their people employed. It doesn’t matter what it cost, it’s better to have our people employed and keeping this funding in the US is better for our economy. It is to be hoped that SpaceX will be allowed to use the powered landings of their Dragon spaceship along with their reusable first stage as soon as possible as this will demonstrate that space travel becoming better and cheaper as time goes on. Maybe that will encourage politicians and the public to loosen the purse strings. I agree Gary, the cost of space flight does not matter if it means keeping Americans employed and making sure the money stays in the US. I hope it becomes a major issue for the 2016 presidential race. Jessie the Republicans in the House of Representatives and the Senate will never agree to fast track the commercial crew program. They want to fast track Orion and SLS. With all the money they`re wasting on Orion and SLS they could have spent on encouraging commercial space development and building a real in-orbit spaceship like Nautilus-X that really could go to Mars.